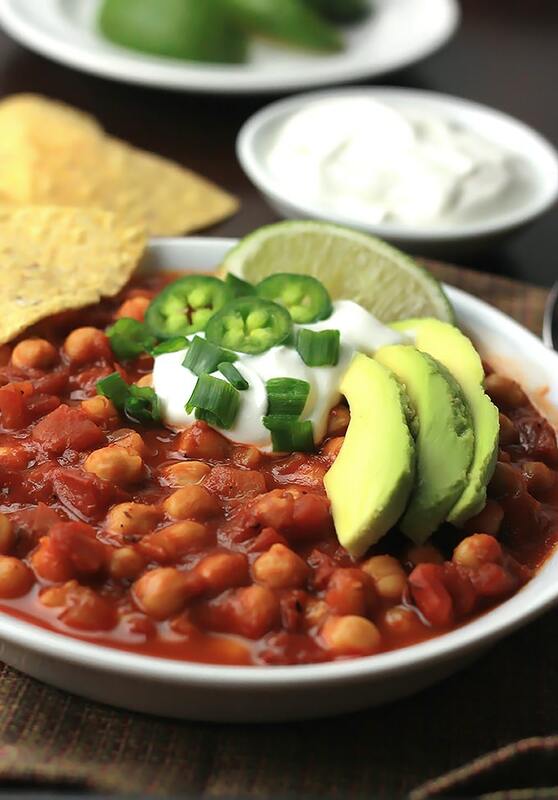 Ready in under 30-minutes, this Chickpea Chili with DIY Chili Seasoning is a deliciously satisfying meal. 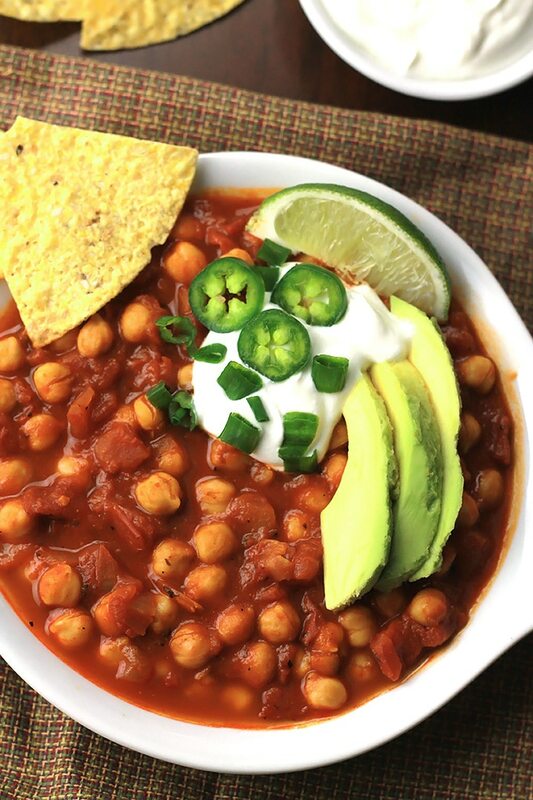 Are you a beans in your chili or no beans in your chili person, how about chickpeas in your chili? This recipe is inspired by a chickpea dish I had at Whole Foods which was more of a sautéed spicy chickpea dish. My daughter who most of the time doesn’t want to eat what I’m eating gave the chickpeas a try and before I knew it had eaten most of them. That was when I decided to try to recreate that dish. As I was creating the dish evolved into a chili instead of simple spiced chickpeas. Turns out we like the chili much better. Most of the time when I make chili I just purchase the chili seasoning packets or boxes with all the seasoning inside, this time I made my own. But just like any recipe, you can add more or less of what you like or don’t like. It’s really easy I did however, put in an ingredient that’s not usually found in a traditional chili mix, turmeric. I have been trying to make turmeric a part of my daily diet so whenever I can add it I do. I add it to smoothies, roasted vegetables, rice, and sometimes make turmeric tea or milk. Turmeric is a root and has amazing anti-infammatory properties. If you want information on turmeric check out Health Ambition or Wellness Mama. Just mix all the ingredients in a small bowl and store in an airtight container. I found these wonderful little glass bowls at Crate and Barrel that have tops, and they are great for food storage. I like to see my food because I tend to forget what I have if I can’t see it. This is a very easy dish to make, it’s ready in under 30 minutes. I didn’t include a meat alternative in the recipe, but it can easily be added. I like adding field roast, a meat alternative and my daughter puts diced chicken in her chili. If you would like a vegan sour cream, check out this recipe. 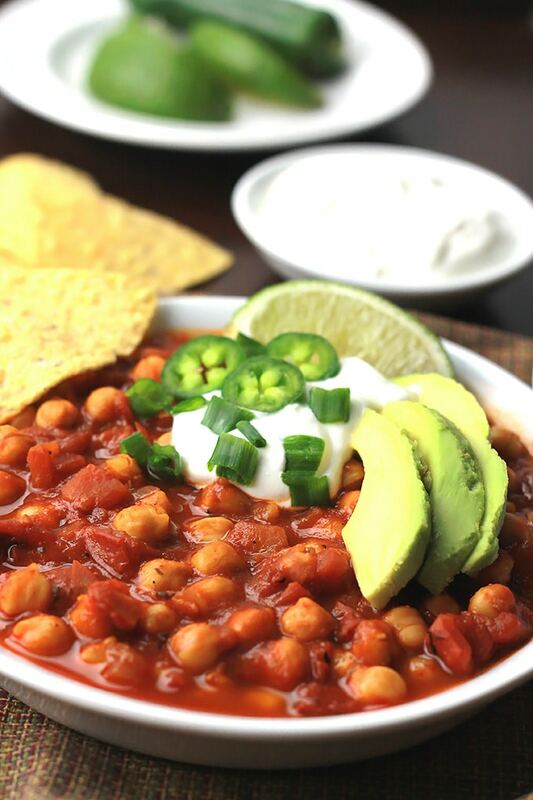 Give this Chickpea Chili with DIY Chili Seasoning and make you and your family happy. You won’t be standing at the stove for long periods of time and they won’t have to wait too long. Place all ingredients into a small bowl, mix well. In a large stock pot heat olive oil over medium-high heat. Add the onions and saute until onions are translucent, about 2 minutes. Add in 1 tablespoon of the DIY Chili Seasoning to the pot and saute until fragrant, about 1 and 1/2 minutes. Add in the remaining ingredients, stir, reduce heat and simmer 15 to 20 minutes. 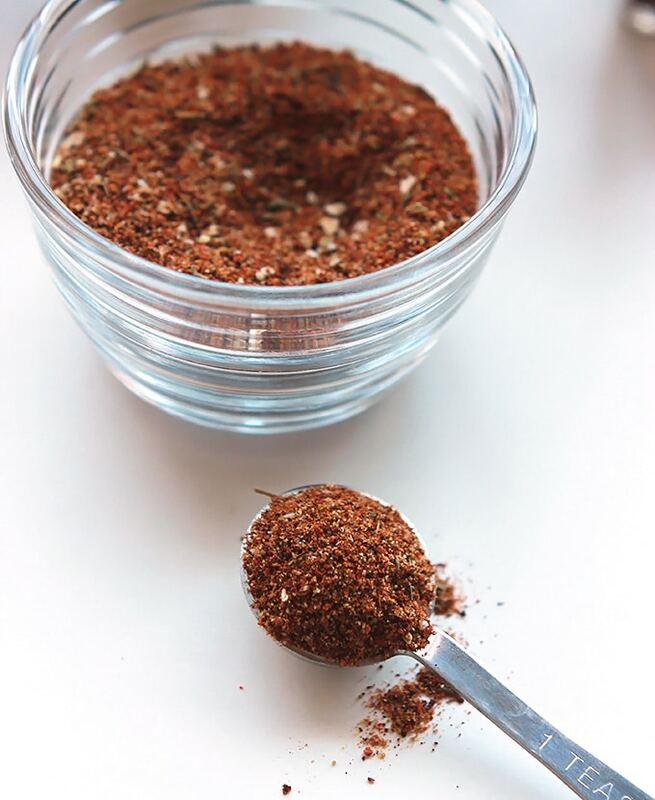 Taste and add more seasoning to your taste. Spoon into bowls, garnish and enjoy! Celeste, I love all your recipes! Can’t wait for the next one! 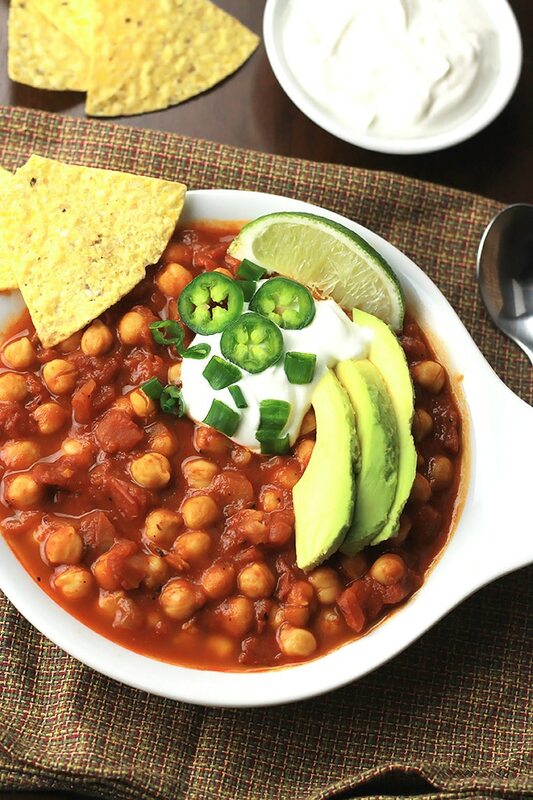 This Chickpea Chili must be amazing, I love chickpeas, and the way you garnished this chili, looks so good! Great recipe, Thanks so much! We are no beans in the chili people here, but this looks incredible. I cannot wait to try this chili seasoning though! I have been looking for ways to get more tumeric into our diets! I hope you like it, what’s nice about it is you can adjust the seasoning to meet the needs of your family. Yummy! 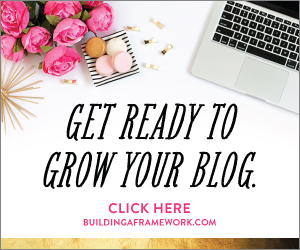 If I haven’t invited you yet, I would like to invite you to share your post over at Healthy Living Link Party, it goes live every Wednesdays, 5pm PST ( 7pm Central Time) until Sunday 7pm. Hope to see you there! Thanks Cristina, I’ll join the party. 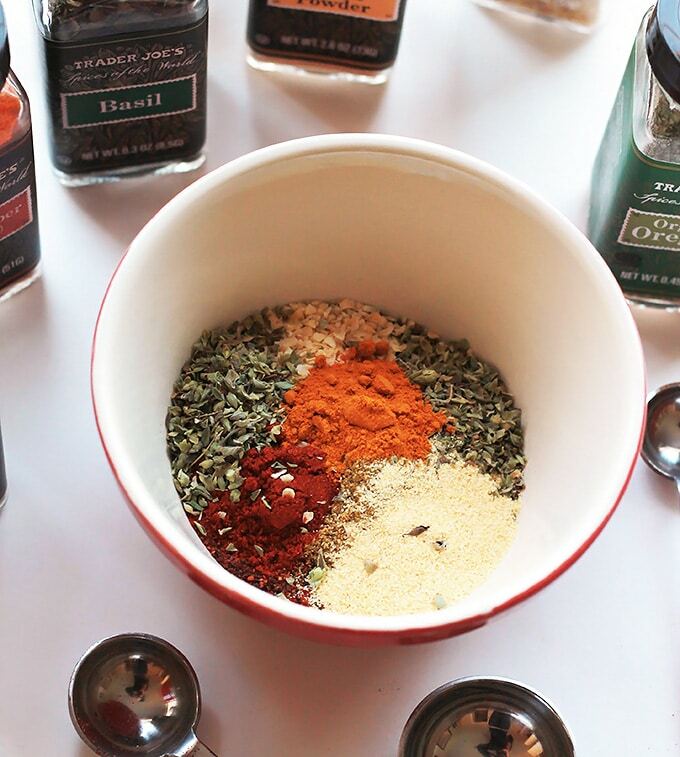 Making your own seasoning is great. 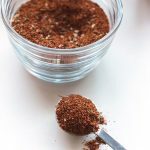 I love smoked paprika! Celeste…I do believe that you need to open your own restaurant…as well as that cookbook I told you about. Your recipes are so fantastic and your photos…just luscious. You are so talented. Oh, and by the way, what time do you serve dinner? I’ll be there. I hope you are having yourself a Happy Valentine’s day weekend. Thanks Michelle, I hope you have a chance to give it a try. Celeste, this sounds so great! 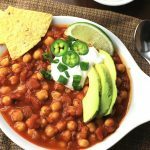 We love beans, chickpeas and chili so I’m going to have to try making this (my husband loves meat, but I can take it or leave it). Every now and then I make meatless meals and this will be one of them. Thanks for sharing this. You can do what we do at my house, my daughter adds chicken. But meatless Monday’s sounds good too. 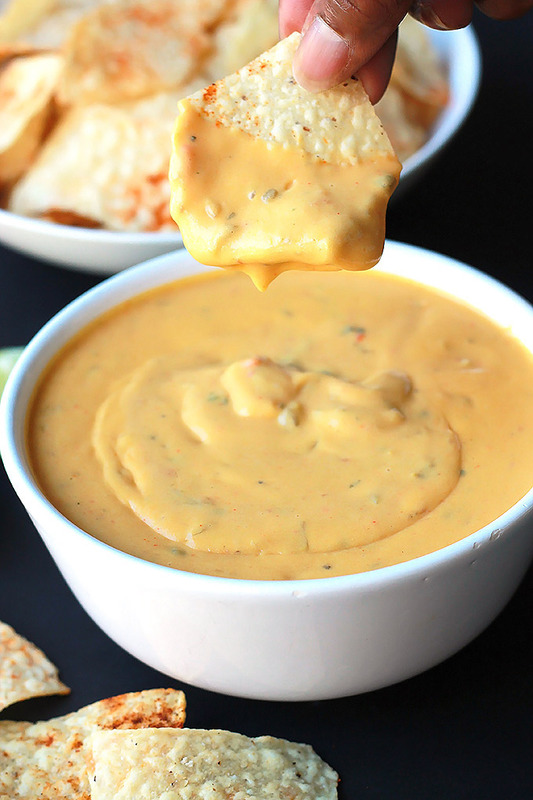 Now this looks amazing and a recipe I definitely want to try! Your photography is fabulous too!!! It’s warm here in Texas, but I so wish it was more like winter. I miss seeing snow, I moved to Texas 13 years ago. I’m glad you like the seasoning, have fun with it. Thanks Angela, I hope you get a chance to try it soon. And thanks for hosting Sunday Fitness & Food Link-Up. Thank you Dee, please enjoy and let me know how it works for you. 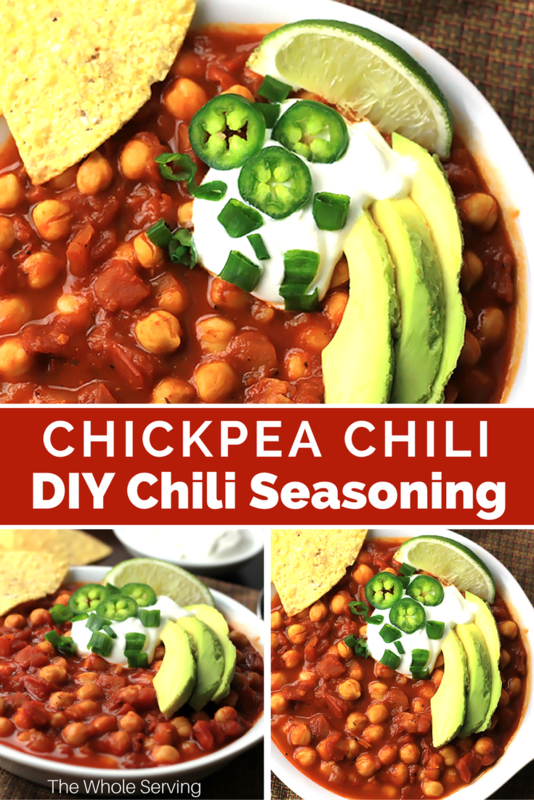 I’ve never heard of chick pea chili, but I LOVE chick peas so this sounds very yummy. A great meal for a cold day. I love chickpeas and this looks perfect. Thanks for sharing at the Thursday Favorite Things Blog Hop. Your chili looks SOOO tasty! Thanks so much for sharing your yummy recipe on the Monday Funday Party! Thanks Pauline, I enjoyed visiting the other bloggers. Thank you so much for joining the party and sharing your yummy recipe over at Healthy Living Link Party! I just want you to know that I will be featuring you for tomorrows party. Hope to see you again! Thank you Cristina, this is exciting news. I will be there, by the way what time does the party go live. I am in the central zone. It goes live 7pm Central Time 🙂 Hope to see you there! This chili sounds amazing! We LOVE chickpeas around here so this is just great 🙂 Thanks for sharing on the Healthy Living Link Up! We hope to see you back tonight!